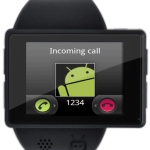 Androidly as the name implies is an Android powered smartwatch, running Android Froyo (2.2). It can run full apps designed for Android, and includes 4GB of internal storage with support for up to 16GB of external storage (SD card). The display is a 2-inch capacitive touchscreen with a 320x240 resolution. It has double what most smartwatches do for memory (256MB RAM) and it can make and receive calls. 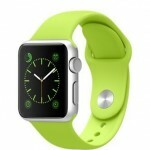 Wi-Fi, Bluetooth and GPS functionality are also included. Although, the low Android version may be an issue with most newer apps available on Google Play (many require OS version 4.0 and up).